Mr. Amigo Association reveals the 2017 Mr. Amigo Pedro Fernández Friday morning who is a singer, songwriter, actor and television host during the official Mr. Amigo poster and announcment at the Mexican Counsul in Brownsville. 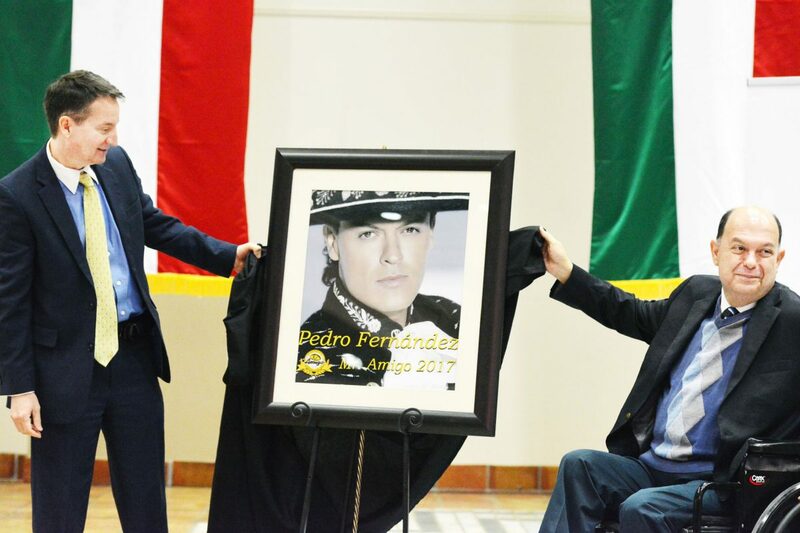 Mexican singer, songwriter, actor and television host Pedro Fernandez was revealed as Mr. Amigo 2017 in a ceremony and poster-unveiling Friday morning at the TexasSouthmostCollegeITECCenter. 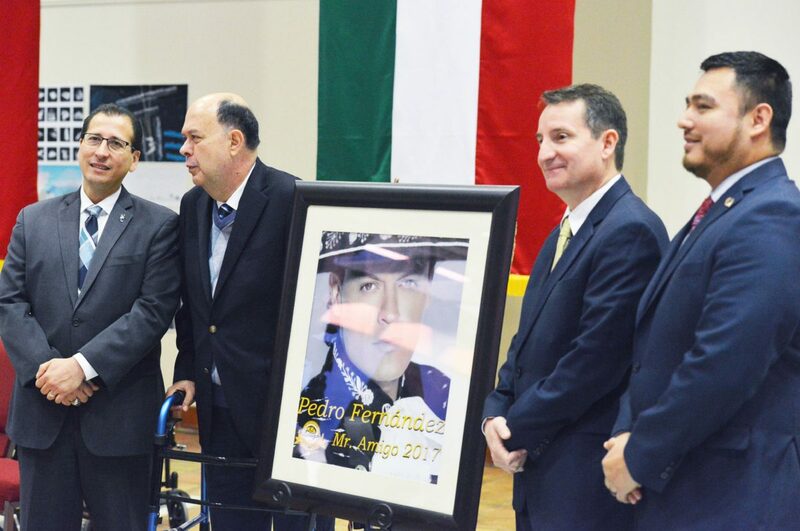 Mexican singer, songwriter, actor and television host Pedro Fernandez was revealed as Mr. Amigo 2017 in a ceremony and poster-unveiling Friday morning at the Texas Southmost College ITEC Center. The Guadalajara native began his career at the age of 7 under the stage name “Pedrito Fernandez,” which combined the names of his two favorite singers: Pedro Infante and Vicente Fernandez. He has recorded 39 albums, and acted in seven soap operas and 25 films. Pedro Fernandez released his first album, “La niña de la mochila azul” (The Girl with the Blue Backpack) in 1978, which led to his starring role in a film of the same name and launched his career in recording and film. Guest attend the official Mr. Amigo ceremony as the Mr. Amigo association reveal the 2017 Mr. Amigo as Pedro Fernández Friday morning in Brownsville. 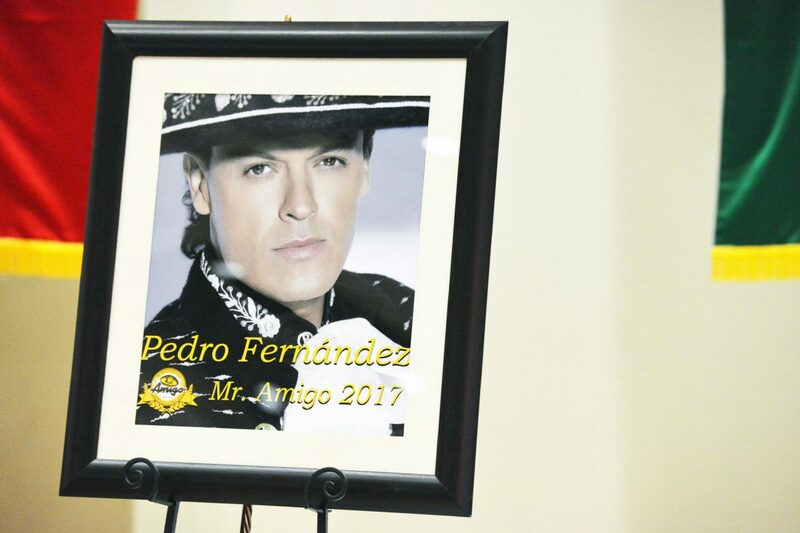 Mr. Amigo Association reveals the 2017 Mr. Amigo Pedro Fernández Friday morning who is a Mexican singer, songwriter, actor and television host during the official Mr. Amigo poster and announcment ceremony at the Mexican Counsul in Brownsville located at the TSC ITEC Center. Fernandez’s album “De Corazón” was nominated for the Latin Grammy Award for Best Ranchero/Mariachi Album at the 2003 Latin Grammy Awards. Speaking at Friday’s ceremony were TSC President Jesus Roberto Rodriguez; Mexican consul in Brownsville Juan Carlos Cué Vega; American consul in Matamoros Otto Hans Van Maerssen; and this year’s Mr. Amigo Association president, Sergio Martinez. “We’re showing the nation that we are united,” he said. The ceremony included a brief video of Fernandez thanking Brownsville and the Mr. Amigo Association for the honor. The Mr. Amigo selection process is undertaken each year by the association’s president selection committee, composed of four past presidents. The ideal candidate for Mr. Amigo is someone who promotes quality of life in the Latino community and serves as a role model for the community. Also, the recipient must be a Mexican citizen who has contributed to the friendship and understanding of the United States and Mexico, excelling in their profession and exemplifying the highest standards in their personal and professional life, according to the association. The Mr. Amigo celebration, first held in 1964, takes place each year at the end of February during Charro Days. The association’s mission is to promote international friendship and goodwill between the United States and Mexico as it relates to “culture, commerce, entertainment and other meaningful bi-national dialogue,” according to the association. The first Mr. Amigo was former Mexican president Miguel Aleman. Other honorees have included Mario “Cantinflas” Moreno, Vicente Fernandez, Raul Velasco, Lola Beltran, Tito Gulzar, Juan Gabriel, Lucia Mendez, Lucha Villa, Armando Manzanero, Jose Jose, Angelica Vale and Arath de la Torre.